WHITE (h) 8-10 inches. Wiry-stemmed creeper with green, roughly heart-shaped, toothed leaves. 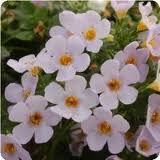 Blooms from late spring to frost, producing small, five-petaled, golden-throated flowers. 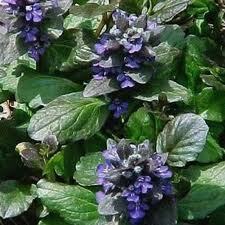 Use in hanging baskets or as a small scale ground cover. 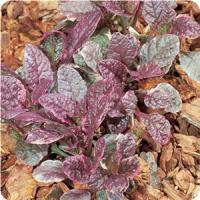 Dark green-leafed plants put on a huge show. With the best heat tolerance and basal branching of any bacopa, delivering great all-season performance in baskets and combos. The rich, deep foliage color contrasts dramatically with the soft, beautiful flower colors. 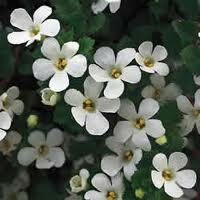 Daylength-neutral plants bloom quickly during short and long days. The Colossal varieties offer larger flowers and a slightly more upright habit. NEW STAR SERIES (h) 8-10 inches, (w) 6-8 inches. Part Sun to Shade. 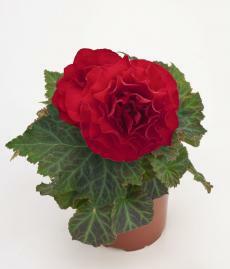 Tuberous Rooted Begonias have an underground tuber from which the plants emerge, producing large, showy and succulent double flowers on a vigorous plant habit. 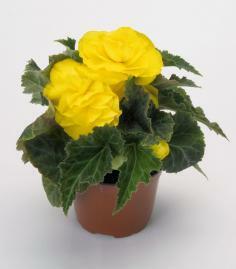 Their showy flowers are ideal for pots, baskets and planters and come in a range of clear bright colors. 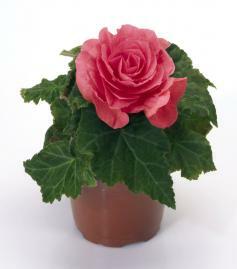 MOCCA SERIES The rich coffee colored leaves of this begonia mix contrast nicely with flowers in shades of orange, scarlet, white and yellow. 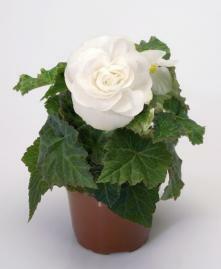 This tuberous begonia series is early flowering and produces 3-4", fully double blooms on basal branching plants. Flowers in a vivid array of colors that last all summer long. Height: 8-10", 8-10" spread.